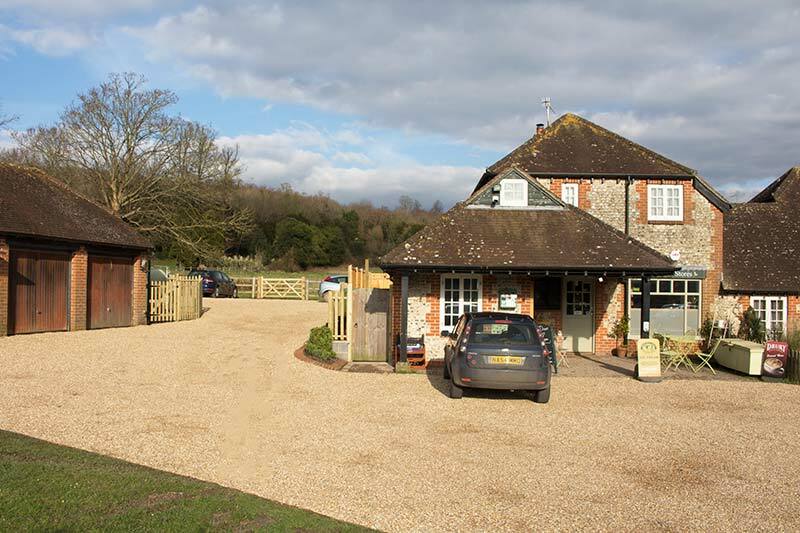 Located in the heart of West Dean near Chichester, just off the Monarch’s Way footpath and the Centurion Way cycle path. Open seven days a week. The stores form part of West Dean Estate with the focus of providing a service and meeting place for the community alongside welcoming visitors to the village. 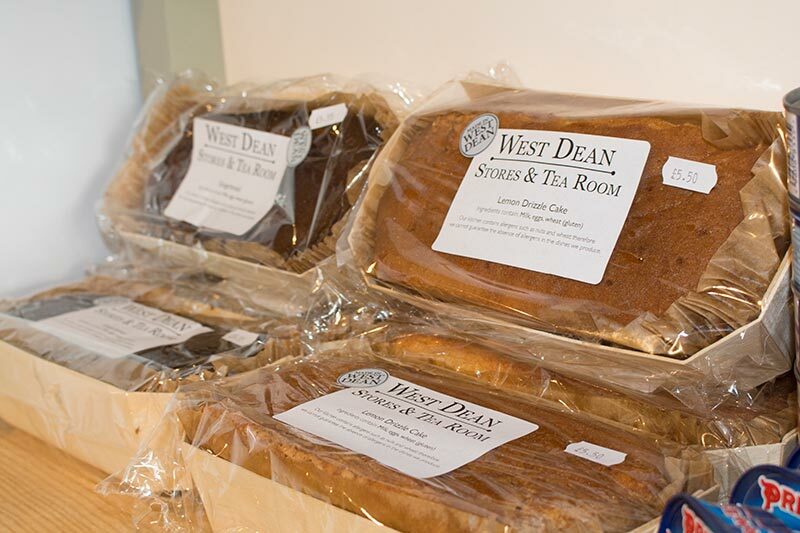 At West Dean Stores you’ll find an array of essentials and local produce, including freshly baked cakes made in West Dean to enjoy in the Tea Room or tray bakes to take away. Look out for apple juice made with apples from orchard at West Dean Gardens. 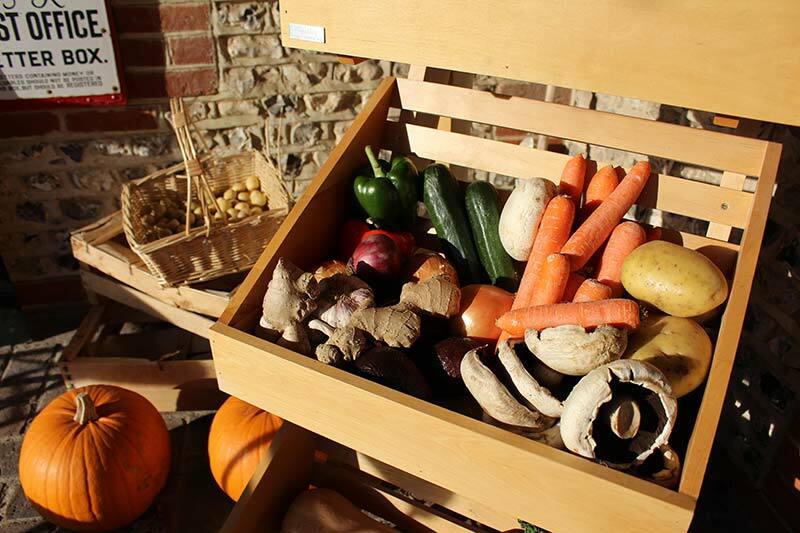 The shop also stocks fresh fruit and vegetables, free range Rookery Farm eggs and has daily deliveries from Bread of Heaven bakery in Haslemere, who provide a variety of loaves and speciality breads, as well as rolls, cakes and pastries. If you’re in a hurry take away hot drinks and a range of freshly made sandwiches and rolls are available, all prepared on the day. Or, why not try a convenient high quality, chef-prepared ready meal from the LoveFood range? We also sell wines, cider and other beverages, local honey and a selection of Deerview speciality preserves, chutneys and sauces along with all of those household essentials. 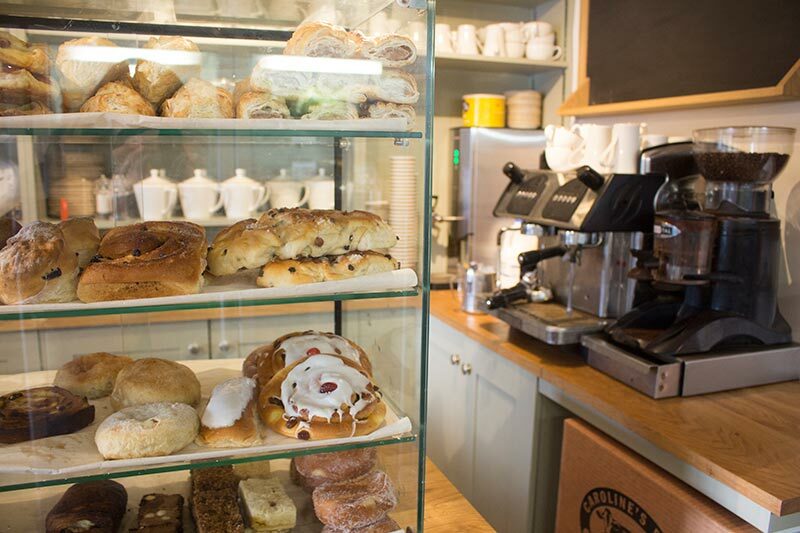 The tea room is a perfect refreshment stop for walkers, cyclists and anybody out exploring the South Downs. 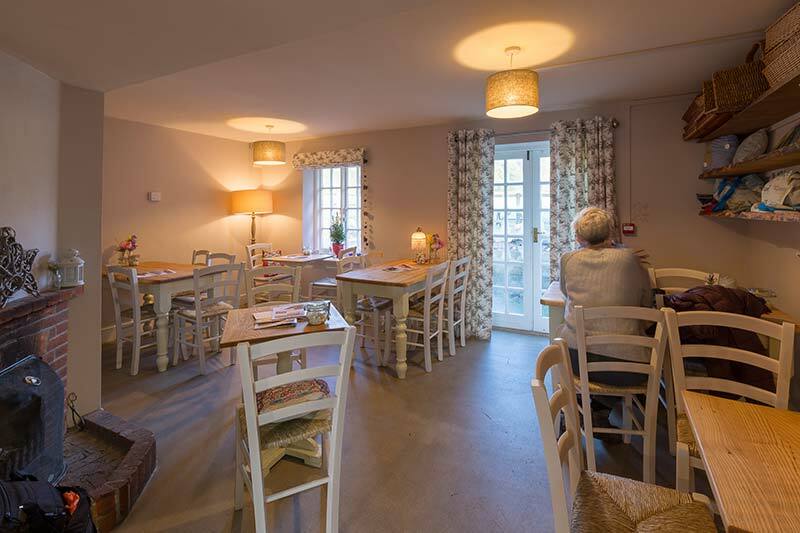 Choose to sit inside in the cosy tea room, complete with open fire, or outdoor seating on sunny days. We offer delicious freshly ground coffee and tea served, as it should be, in a pot covered with quirky hand knitted tea cosies. Cream teas are available every day along with a choice of hot and cold snacks such as bacon sandwiches or O’Hagans sausage floured baps, freshly made sandwiches and a range of scrummy fresh cakes and pastries. Collect 10 stamps to receive your next hot drink free. Pick up a card and start collecting! 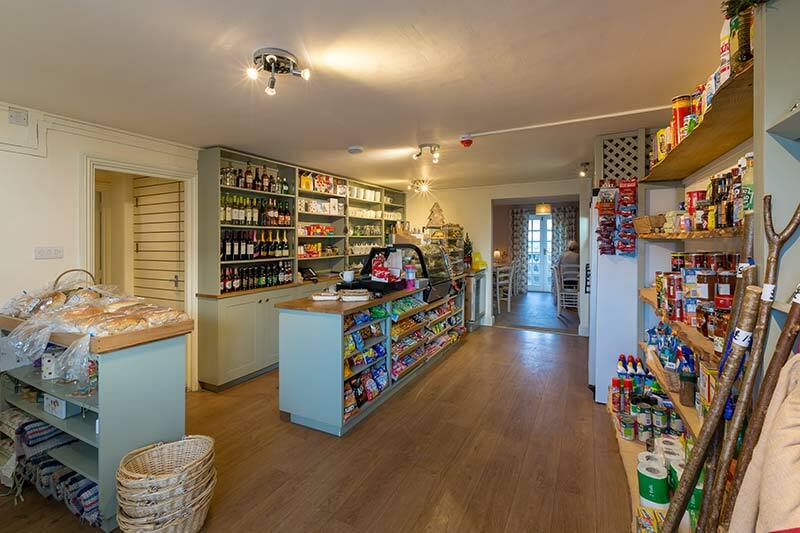 The project to refurbish and adapt the internal lay out of West Dean Stores and improve the external facilities for the local community was part funded by the Sussex Downs & Coastal Plain LEADER Local Action Group under the European Agricultural Fund for Rural Development. 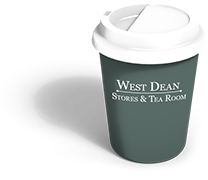 West Dean Stores are part of West Dean Ltd, Company number 1363911, registered address: West Dean, Chichester, West Sussex, PO18 0QZ. Can you pre order food? Yes, you can pre order breakfasts, light lunches and cream teas by calling 01243 818222. Are there bike racks available? Yes, bike racks and one bike maintenance stand. Yes available with a purchase, subject to availability. Is there dedicated disabled parking? Yes we provide a dedicated disabled parking space. Yes, quick stop spaces at the front, longer stop parking at the rear. Unfortunately we do not take table reservations. Do you offer a loyalty card? 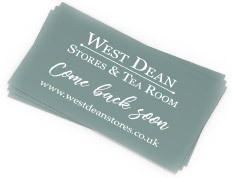 Yes, pick up a card in store and collect 10 stamps to receive your next hot drink free. Our kitchen contains allergens such as nuts and gluten; therefore we cannot guarantee the absence of allergens in the dishes we produce.